Freedom to choose is an essential part of our Heavenly Father’s plan. Quoting from Dumbledore, Hank Smith reminds us that “it is our choices that show what we truly are, far more than our abilities.” Unfortunately, we don’t always make the best choices. “We are all going to be tempted and sometimes we might give in and fall,” says Brother Smith, “but we don’t have to.” Drawing on stories from the scriptures, real-life examples, and his trademark sense of humor, Brother Smith shares five powerful “temptation killers” that can help youth deal with the “opposition in all things” that is part of our earthly existence. “I want to give you some ways to overcome temptations so you can become the missionary you were meant to be, so you can become the mom you were meant to be, so you can become the example you were meant to be if you can get by these things,” says Brother Smith. Once again, Hank Smith delivers a timely message that will be a great blessing for youth and parents alike. This is the first Hank Smith CD our family found. My daughter asked for it for her 12th Birthday. We had never seen or heard anything about him. She saw it in an ad and insisted she needed it to help her deal with some hard things. Her spirit was led to Hank Smith, because for several years she fell asleep to his CD'S and still just can't get enough. He has helped her through many rough patches, and taught her many gospel principles she shares with others. 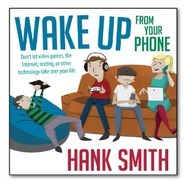 If you have teenagers, you can't survive without Hank Smith!! This CD is the one that got my four kids hooked on Brother Smith. We love this guy, his stories and his example. Thank you for all you do Brother Smith! 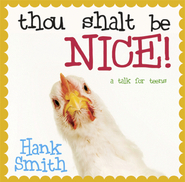 Hank Smith keeps the attention of youth with his whit and humor, but yet helps motivate them to want to be spiritually better. 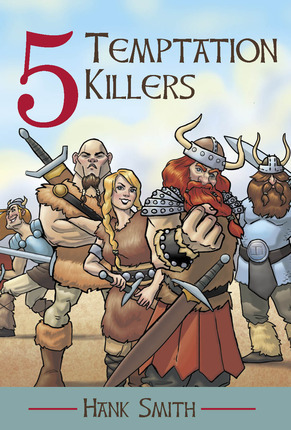 His 5 temptation killer ideas are great for people of all ages. He brings the scriptures alive with his presentation and helps youth relate them to their own lives. My family loved this talk so much we listened to it twice in 24 hours! 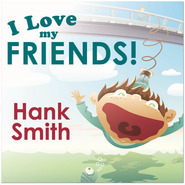 All of Hank Smith's CD's are amazing! 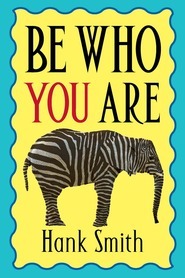 He is such a fun speaker and my 11 and 13 year old boys love listening to him!! Buy this! Thanks so much for reminding my family how fabulous the gospel is and helping us turn off the DVD player! This summer my daughters and I planned an amazing Girls Road Trip and I bought a few Hank Smith CD’s in preparation for a long haul across an area of Idaho that does not have the best radio reception. The girls are 9, 10 & 14 and my age is irrelevant, because my awesomeness is epic. We had so much fun listening to the unique way that Hank Smith brings the scriptures to life! (We still joke about the Lamanite Primary songs and the Teenage Gollum) We purchased ‘Break Up with the World’, ‘I Love my Friends’, & ‘Thou Shalt Be Nice’. I was worried it would be above my 9 year-old, but was pleasantly surprised to hear her hysterical giggling in the back of the car while listening. Throughout the trip, I had multiple requests to play them again and as soon as we met up with some cousins in Washington, they couldn’t wait to play the CD’s for them! We just returned from a trip to St. George and, of course, we jumped at the chance to pick up a few more Hank Smith CD’s – ‘My Soul Hungered’, ‘Be Who You Are’ &’ 5 Temptation Killers’ (even though radio is fine all the way down). Once again, we were entertained, educated and inspired! I have learned that, no matter how great your communication is with your kids, they love to hear it from someone who is silly, smart and not their parent. Thanks so much for reminding me and my family how fabulous the gospel is and helping us turn off the DVD player! We consider ourselves your biggest fans! Incredible!! A great listen! We loved it! 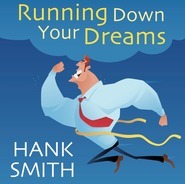 We own every Hank Smith CD that is available to own, including this one! 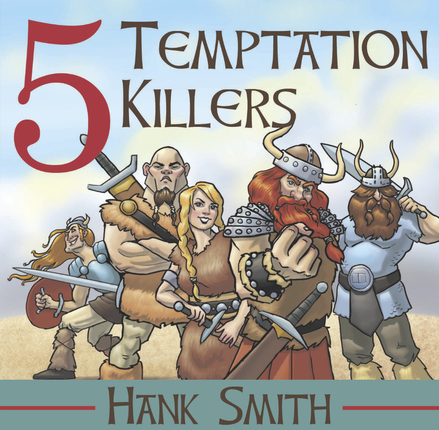 Hank is an amazing speaker and The 5 temptaion Killers is every bit as good as the rest! My five children hung on every word as we listened to this CD on our last vacation! Wehn it was over they made us listen to it again! In a world where ther is a lot of trash and filth, It is a relief and pleasure to be able to purchase Hank Smith's CD's. Thank you so much for providing quality, uplifting content! Another great cd! You go Hank from Utah! My kids loaded up their iPods with Hank CD's to take on team trips. They wanted something more uplifting when sometimes the atmosphere on long trips gets too worldly, and this has been a top choice! Thank you for making another awesome CD that reinforces the values we teach at home while holding the interest of all my kids! Alaska loves Hank!!!! Great reminder of what is important in life! My children really enjoyed this CD. They were able to relate so well. They were laughing throughout the whole thing. As a parent, I enjoyed the 5 temptation killers to help them when they have troubles. What a great way to remind them of who they are and what they can do to keep close to the Savior. They have asked for other CD's from Hank Smith. He is our new favorite youth speaker! I am not sure what more I can say than the synopsis! I think that every teenager living in this dispensation should listen to this CD! It would be different if the message was giving people the wrong idea about life! 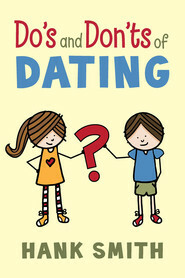 But this CD does the exact opposite and helps teenagers or even kids to think more about their actions! I know that sometimes I have a hard time staying away from temptation! 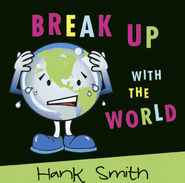 Hank Smith has given me some great tools to fight this ever growing threat to the future! Thank you Hank! Great inspiration for having hope to overcome today's temptations! Hank Smith delivers again! This CD is packed with classic Hank stories and helps us see that even in this wicked world we can have hope to overcome any temptation we might face. My husband serves in a singles ward and currently has this CD circulating throughout the ward. EVERYONE has temptations and Hank helps us see that no matter the seriousness of our temptations we can have the tools to overcome. Good job again, Hank! Love this CD! HANK SMITH IS AMAZING!!!!! If Hank Smith's name is on it... get it. No questions asked. I never realized how much power I have over Satan! Thanks Brother Smith! My family bought this cd and it is totally worth it! He is hilarious and makes it easy to listen and learn. It would make a perfect Christmas gift! This CD is awesome. 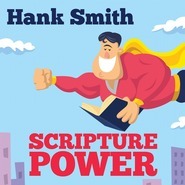 Hank Smith is such a phenomenal speaker; the CD teaches powerful principles in such a fun way that my kids want to listen to it over and over again.